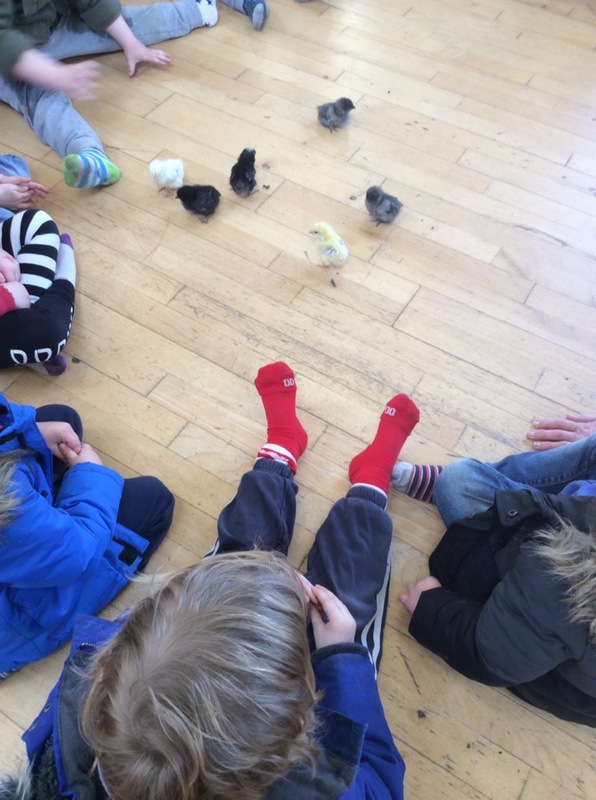 Today we were back for another morning full of interesting activities to encourage learning. In the role play area we had our doctors surgery along with waiting room. The children took turns to dress up. 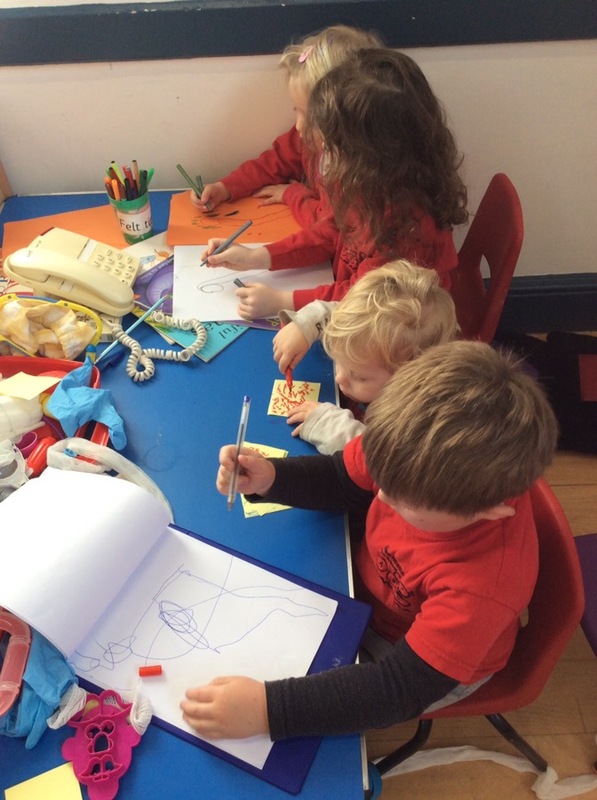 We had our receptionists taking appointments and making notes. Tara had lots of bandages applied to her head and arms by the doctors and nurses. The children really enjoyed getting involved, exploring the theme, sharing the equipment and discussing what they were doing with their peers. 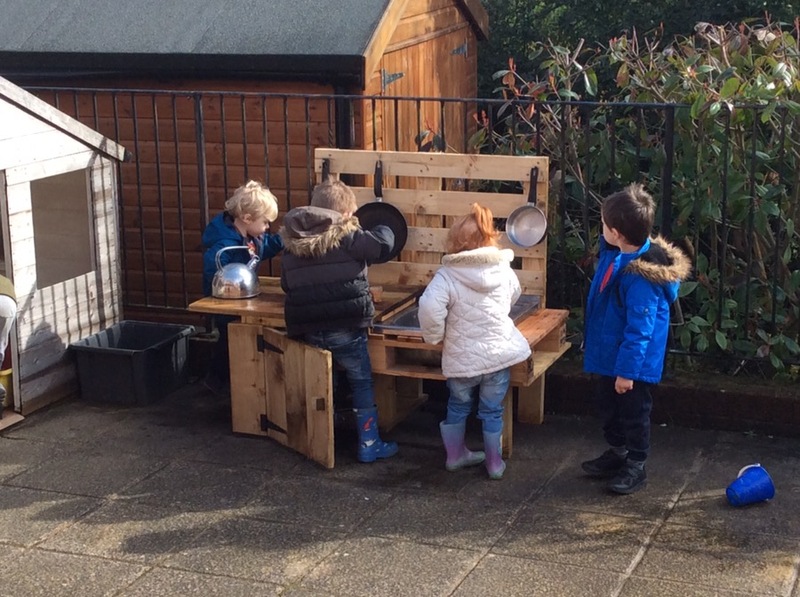 In the garden we have the new addition of a mud kitchen. 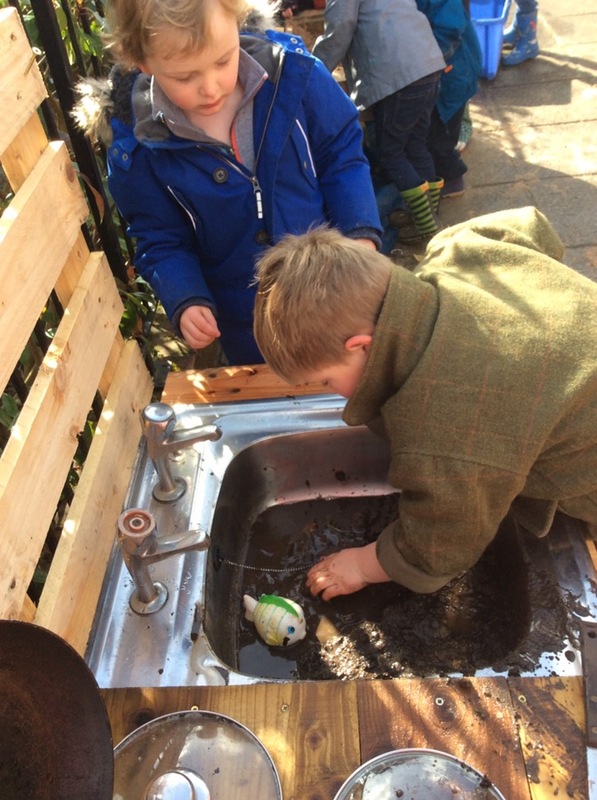 The mud kitchen is a fantastic new resource for the children to experiment, explore, discover, create, describe, pour, use tools, role play, learn the importance of hand washing and have lots of fun! 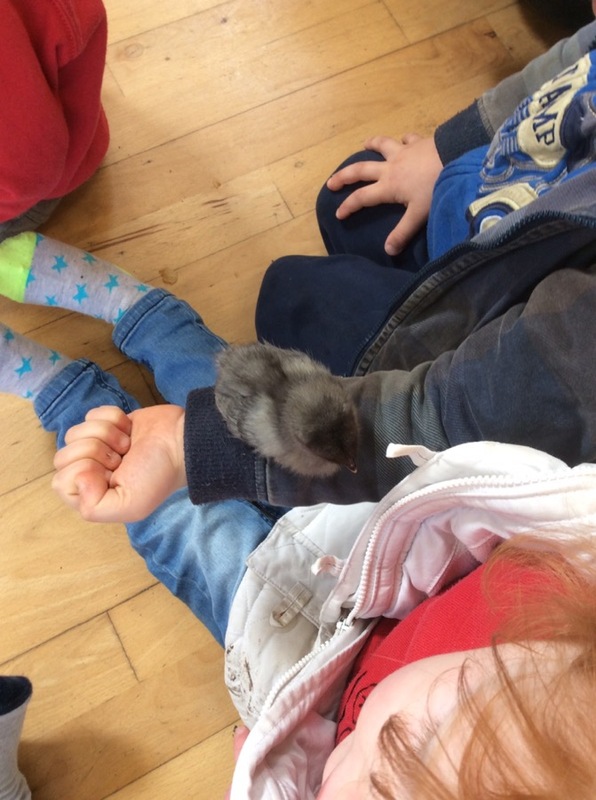 We also had a visit from five day old chicks, one of our parents kindly bought in the chicks for the children to handle. 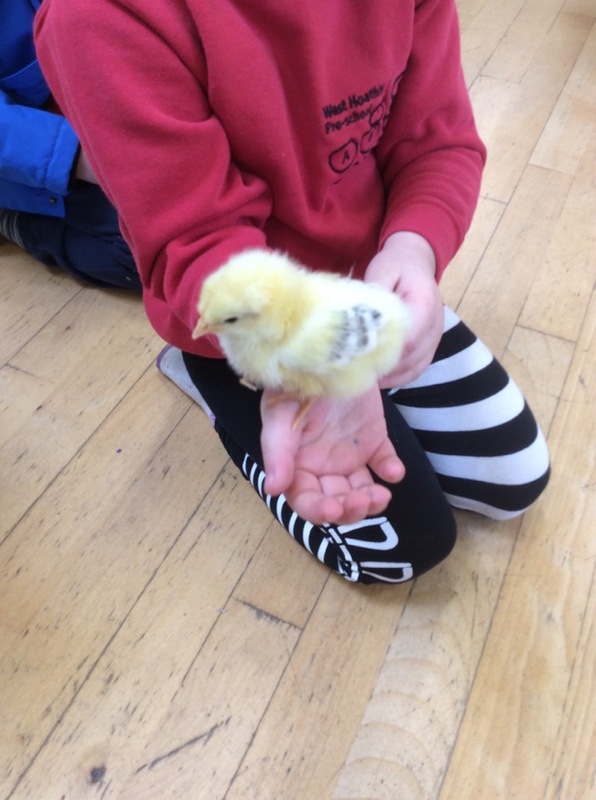 The children held them and were all very gentle with them. They also sat back and watched and listened to the sound they made and how they moved.